Above: My grandfather, Norbert, who worked as a flight instructor teaching World War II pilots how to fly. New novel out July 3rd 2018. 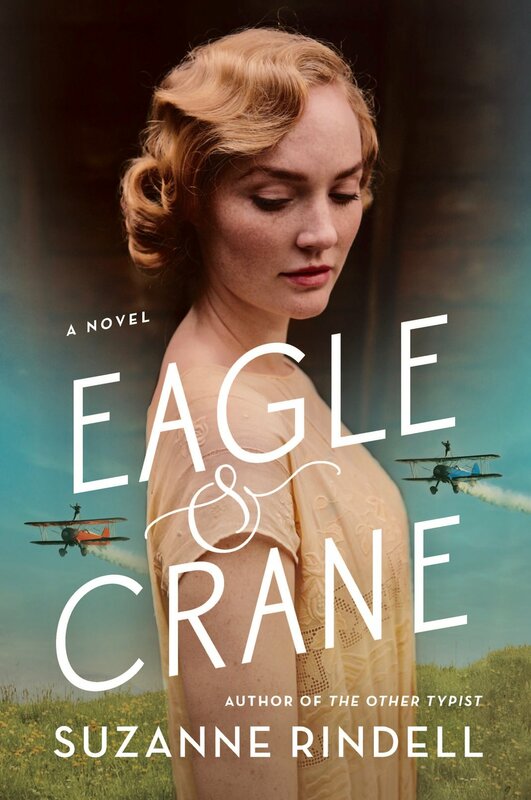 I’m full of hope and excitement to share my new novel, Eagle and Crane, with you. This novel holds a special place in my heart, because of all the novels I’ve written so far, this book is the most deeply rooted in elements borrowed from my family’s history. Eagle and Crane tells the story of group of aviators who travel throughout Depression-era California putting on an illegal “barnstorming” act – a.k.a., a flying circus, wherein the two title characters perform daredevil stunts, such as wing walking. From the time I was a child, my grandfather (who’d served as a flight instructor for World War II pilots) told me exciting stories about wing walkers. Aviation was actually a theme in our family. My father was an U.S. Air Force captain and flew F-111s. My mother – my grandfather’s daughter, and a very petite 90-lb woman – figured, hey, if the men in her life could do this, she could do it, too, and promptly earned her wings. I grew up going to an awful lot of airshows (and yet, in an ironic twist, I myself have a fear of flying!). But Eagle and Crane is more than just the story of a flying circus. The characters’ call signs – the all-American “Eagle” and the Japanese “Crane” – begin as a racist joke that they then use to create something more positive (their act). The book’s plot eventually intersects with the very real events of Pearl Harbor and Executive Order 9066. The internment of Japanese-Americans divides the characters, both physically and politically. Two other personal anecdotes moved me to write this story as well. My great-grandmother owned a ranch and orchard in the region where the majority of this book is set, a place in the foothills that lie northeast of Sacramento, where there was once a large and thriving Japanese community. My great-grandmother’s Japanese-born foreman and his (American-born) family lived on the property, overseeing the orchard, and she recalled the day they were forced to pack up and leave. Having cleaned out the cottage in their absence with a heavy heart, my great-grandmother said the rush they had been in was obvious. She realized she was seeing a glimpse into what would become a very dark and sad chapter of American history. A second story that left a deep impression upon me was that of my mother's close friend, a woman named Barbara Matsui. I spent time with Barbara when I was a kid; she was one of my favorite "grown-ups" to be around. Barbara was a strong, capable individual, but she also happened to be legally blind. When I asked my mother “why” (as children are wont to ask), my mother told me: Barbara had been born in a Japanese internment camp. Health conditions were not good, and while pregnant, her mother had contracted German measles, which had left the developing baby (Barbara) legally blind. I was shocked; this story was one I never forgot. I remember feeling anger and outrage (I never once saw Barbara express such negative feelings, by the way; she rose above it somehow) that she should be affected by a lifelong health condition... one that could have been avoided, had our government not given into fear and passed policies that were built on racism and paranoia. In our present day and age, it seems especially important that we actively remember this part of American history. It is my hope that Eagle and Crane not only spins an entertaining yarn about a flying circus, but also humbly touches upon the very fraught and tragic reality of Executive Order 9066 and all its consequences.